nutrients and antioxidants are needed for oral and systemic health. Top 100 New Products Issue, On The Cover. Pharmaden was developed, tested, and has been used daily by trusted U.S. health professionals for their own health and the health of their patients for the past 18 years. Why? Because Pharmaden’s nutraceuticals are high-absorbing, powerful antioxidants containing ingredients that the Department of Agriculture states most American’s are deficient in and need to maintain good health. 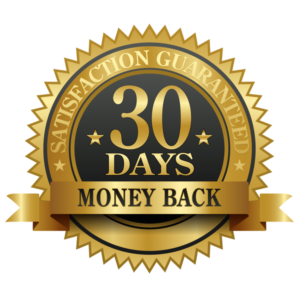 Why take an untested multivitamin from your local grocery store when you could be receiving the benefits of a high-absorbing, doctor recommended, dietary supplement from Pharmaden? Have a double blind study at a major university and published in a peer reviewed magazine? Pharmaden does!. Have black pepper extract to increase absorption up to 40% more than others vitamin? Pharmaden does! Contain natural, more expensive ingredients or does it have the inexpensive, low absorbing synthetic ingredients found in most store brand vitamins? Pharmaden contains non-synthetic ingredients and uses only the highest grade grape seed extract. All products have black pepper extract to increase absorption by up to 40% more. As with any new therapy or dietary change, a patient must check with his or her primary care physician before taking these dental supplements to be sure they are compatible with medications and existing medical conditions. However, since Pharmaden’s nutraceuticals contains the highest-quality, non-synthetic ingredients available, patients can enjoy a high level of safety with Pharmaden. Emerging science has made it increasingly evident to dental professionals that nutritional support must be a part of an oral care program for their patients. Traditionally, a topical approach was taken as the only treatment for periodontal disease; which addressed the symptoms, but not the underlying cause. A deeper understanding of the oral-systemic connection has resulted in the use of nutraceuticals to enhance periodontal treatment. It has become evident that poor nutrition is a major factor in periodontal disease. Additionally, there is a greater need for nutritional support during the recovery period after dental treatment. Dentists and hygienists are increasingly recommending Pharmaden’s nutraceuticals to facilitate recovery and maintain optimal oral health for their patients. The Loma Linda University Dental School conducted a double blind study, which found a dramatic reduction in plaque, bleeding, and pocket depth after using Pharmaden’s PerioTherapy for only 30 days. This treatment offers patients a concentrated, non-synthetic formula with a high rate of absorption; which is backed by years of science and clinical use, to integrate into their at-home care. 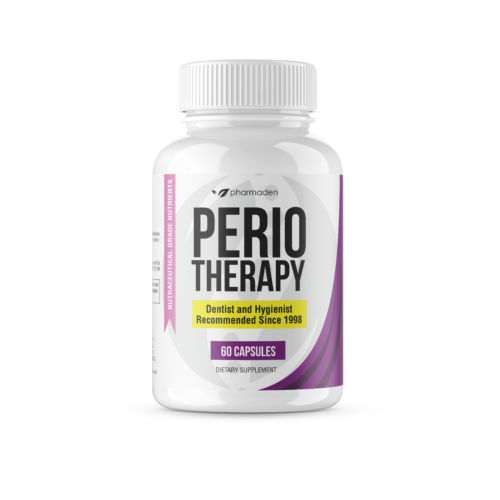 PerioTherapy – formulated to strengthen the immune system and thereby promoting healthy gum tissue. The recommended treatment is two tablets twice daily for 60 days. 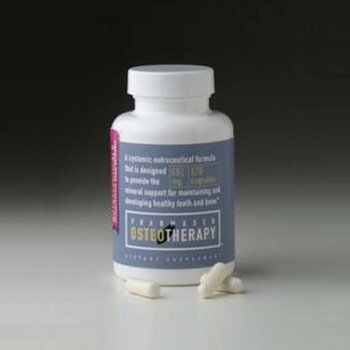 OsteoTherapy – provides optimum mineral and vitamin support for remineralization of the bones. This is crucial for those who have lost bone, but it is recommended as a preventive measure to address bone loss in all patients. Moreover, it is a fine calcium supplement which aids the prevention of osteoporosis. The recommended treatment is two capsules twice daily, with ongoing treatment for continued bone support. 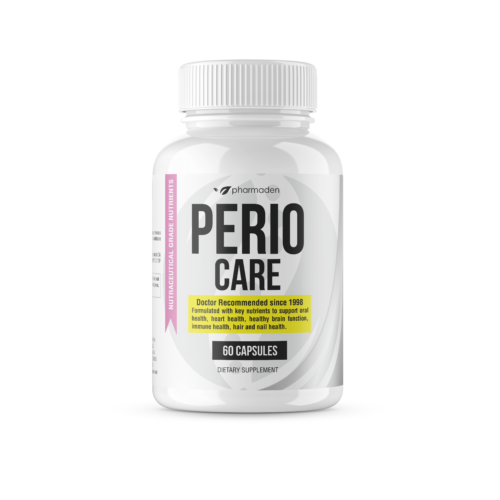 PerioCare – a maintenance and prevention treatment that provides strong nutritional support to reduce the risk of further disease and infection, and preserve the results of dental treatments. The recommended treatment is one capsule twice daily. It has been proven that nutritional issues must be viewed as the foundation of good oral health. This facilitates the treatment of oral disease, post treatment healing for dental procedures, and maintain optimal oral health. Pharmaden nutraceuticals are pharmaceutical grade nutritional and botanical compounds manufactured according to FDA regulations. They contain only the highest quality of all-natural ingredients in a synergistically balanced ratio to maximize the absorption rate. They have benefited thousands of patients since their launch in 1998. ACT NOW to take advantage of this great offer. Simply complete the form below. Your free report will be e-mailed to you!